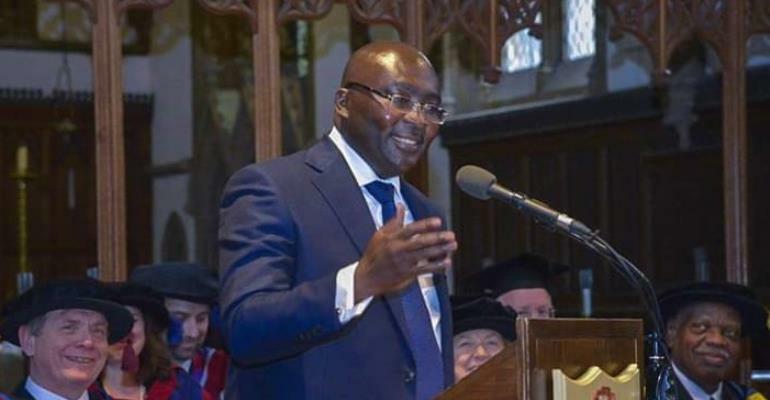 Vice President Dr. Mahamudu Bawumia and his team of economic managers are expected to answer tough questions tomorrow, Wednesday, 3rd April, 2019, at the Physicians and Surgeons Hall, Accra. This will be his first appearance on the performance of the country's economy since the Akufo-Addo administration assumed office. The maiden Town Hall meeting will see all nine members of the Economic Management Team (EMT) explain how the respective sectors of the economy have been managed by the NPP government, as well as plans it is putting in place to improve the economy. A lot of Ghanaians have welcomed the move by the government to explain the management of the economy to the people, with some saying it is a novelty. A release issued by the Secretary to the EMT, Prof. Joe Amoako-Tuffour, said the feedback from the public showed that they would like to know more about high import duties, exchange rate, unstable energy situation, the broader economy and government's flagship projects. “Also, as a champion of Ghana's digital revolution, the Vice President is highly tipped to shed more light on how and why government intends to make Ghana the digital hub of the West African sub-region,” the release said. “It's believed that if government is able to address the problems of high import duties and the blips on the currency market, it will crown the efforts it has put in place to restore the economic mess it inherited in 2016,” it added. The EMT is a body set by various governments at least from the tenure of former President Kufuor and usually chaired by the incumbent Vice President to steer the affairs of the country's economy. Members of the EMT meet every Tuesday and invite various government agencies, private sector and different stakeholders to have fruitful discussions to shape government's economic policies. “So far, there is no doubt that the EMT's efforts have helped to shape policies of the government and delivered on key economic milestones of President Akufo-Addo's government,” Prof. Amoako-Tuffour indicated. Dr. Bawumia is the head of the EMT, with Senior Minister Yaw Osafo Maafo as vice. Other members include Finance Minister Ken Ofori-Atta; Agric Minister, Dr. Owusu Afriyie Akoto; Energy Minister, John Peter Amewu; Planning Minister, Prof. George Gyan Baffour; Trade & Industry Minister, Alan Kyerematen and Monitoring and Evaluation Minister Dr. Anthony Akoto-Osei.